European Commission spokesperson Catherine Ray confirmed yesterday (27 August) that the group will start work from 1 September. Eight people will initially make up the task force, officials said. No budget has been allocated and several of the task force members are detached national experts, paid by their countries. 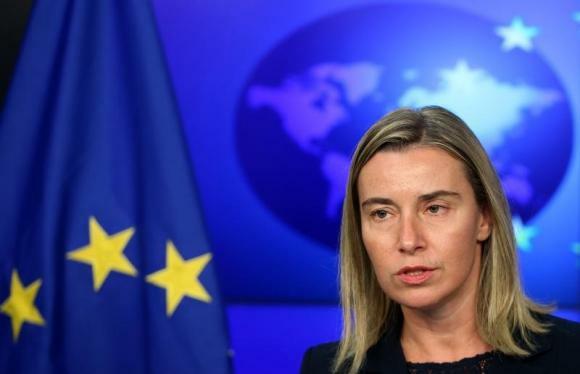 Meeting on 19-20 March, EU leaders gave High Representative for Foreign Affairs Federica Mogherini three months to work out how to support media freedom and European values in Russia. “The European Council stressed the need to challenge Russia’s ongoing disinformation campaigns and invited the High Representative, in cooperation with Member States and EU institutions, to prepare by June an action plan on strategic communication. The establishment of a communication team is a first step in this regard,” the summit conclusions said. The EU efforts looks disproportionate in comparison to the Russian propaganda machine (see background). The reason is that the EU doesn’t want to engage in a Cold-War type of confrontation with Russia, officials say. Initial plans to counter Russian propaganda included setting up of a “European Russian TV channel”, but EU institutions distanced themselves from the initiatives, leaving them to the member states that are willing to implement them. The Netherlands commissioned a feasibility study on Russian language media initiatives, which was carried out via the European Endowment for Democracy, a EU initiative to foster democracy in the Union’s neighbourhood. The feasibility study, however, has served more as a starting point for discussions, rather than for concrete projects. This has not prevented the Russian side from accusing the EU and the US for “plans to spend big money on Russian language info wars“. In fact, the EU has put no money into any such campaign, and the taskforce has been created within EEAS without any budget. Officials told EURACTIV that the group will look into Russian propaganda and into the needs of journalists in the Eastern Partnership countries – Ukraine, Moldova, Belarus, Georgia, Armenia and Azerbaijan. The officials will be ready to communicate and help provide journalistic training, an activity the Commission has been engaged in anyway. In the Eastern Partnership countries, media which have Russian language versions could also get assistance, in an effort to reach Russian-speaking audiences, EURACTIV was told. But experts were unable to say whether the new task force will look into Russian broadcasters registered in the UK or Sweden, targeting the audiences of the Baltic countries. Media regulators in those EU countries have so far turned a blind eye to those activities. Latvia has questioned whether it was normal that a Russian channel targeting its home market was registered and regulated in the UK or Sweden, and whether such practices were in accordance with the Audiovisual Media Services Directive (AVMSD). Last November, Russia launched a state-of-the-art media organization with hundreds of journalists abroad intended to wean the world off what it called aggressive Western propaganda - dubbing it, with echoes of the Cold War, Sputnik. One could equally blame the EU media of unanimously following the US/Nato narrative on this and say that the putsch which took place in Kiev was not one carried out by nationalist and fascist right-wing Ukrainians closely supervised by the US. While the Russian media is certainly biased, it is somewhat foolish to pretend that the EU is any different. The so-called ‘left-wing’ Guardian has become a paid US messenger with constant and completely pathetic anti-Russian and anti-Putin hysteria. The UK is the centre of this pro-US media slant. In Germany, newspapers still mostly have their own opinions. If we could first of all counter US propaganda, that’d be a great. So the EU’s version of the ‘Reichsministerium für Volksaufklärung und Propaganda’ has been created. No doubt I will be sanctioned just for saying so. I would rather suggest that the group should look into Western media propaganda directed against Russia. There is plenty of it everywhere. And surprisingly co-ordinated. One wonders who is holiding the reins.